How often have you seen a pipeline of work, a brief or a backlog and thought ‘what does this even mean? What’s actually being built and why?’ How organisations describe work and measure projects is too often only inward-facing. It reflects the internal view of something that should be built or bought, rather than clarity about what that organisation is trying to solve or achieve for its users or for itself. Having impact with good research and design is hard when work is already shaped from the inside out – especially when the team is then up against a deadline to deliver ‘something’. It also makes it hard for the organisation to anticipate problems or to know how to judge whether a project has been successful from any kind of outside perspective. For example, how users might be affected by a change, potential support costs, demand, efficiency, effectiveness, missed opportunities or unwanted effects. Kate will talk about some ways we can work constructively as part of a team, to not just re-shape projects for success, but how to evaluate them. In doing so, we move from being ‘the one’s designing other people’s ideas and products’, to being a core part of the team deciding where we need which products or technology – and just as importantly, where we don’t. Kate Tarling works with governments and other large organisations to establish a strong foundation for radically improving services, as well as to help them scale transformation efforts organisation-wide. Working with some of the largest government departments in the UK she has lead on service design, leadership and management, bringing about significant and lasting change for organisations like the Home Office. Previously she worked with Government Digital Service alongside teams delivering major programmes of work to re-design high profile and critical services. She has helped design and deliver life changing products and services in healthcare, most notably for the award-winning Peek Vision. 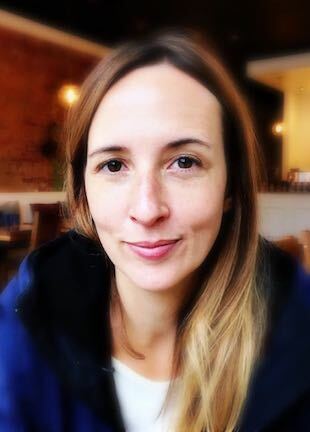 With some 15 years’ experience in user centred design and strategy, Kate has directed major design programmes for large organisations including EE, Vodafone, Transport for London and AXA. She also spent 5 years in-house directly managing operational services in the telecoms and gaming industry, responsible for significant improvements to product and service performance and efficiency, as well as design. Kate is director of a consultancy she founded in 2012 and frequently shares practical advice and guidance on the design and management of good services, providing tools and guidance for leadership, teams and individuals. She also coaches tech startups through the global tech accelerator Techstars. Copyright © 2018 Northern User Experience. All Rights Reserved.